We love these KidKraft Outdoor Chaises, and right now they're both on offer at Argos. The Single one is down to £79.99 from £89.99, and the Double has an even bigger discount as it's down to £99.99 from £119.99. There's free delivery too. The Single Chaise has a sturdy wooden base, with arm and backrests, a padded cushion and an umbrella in a matching stripe to keep the sun off. 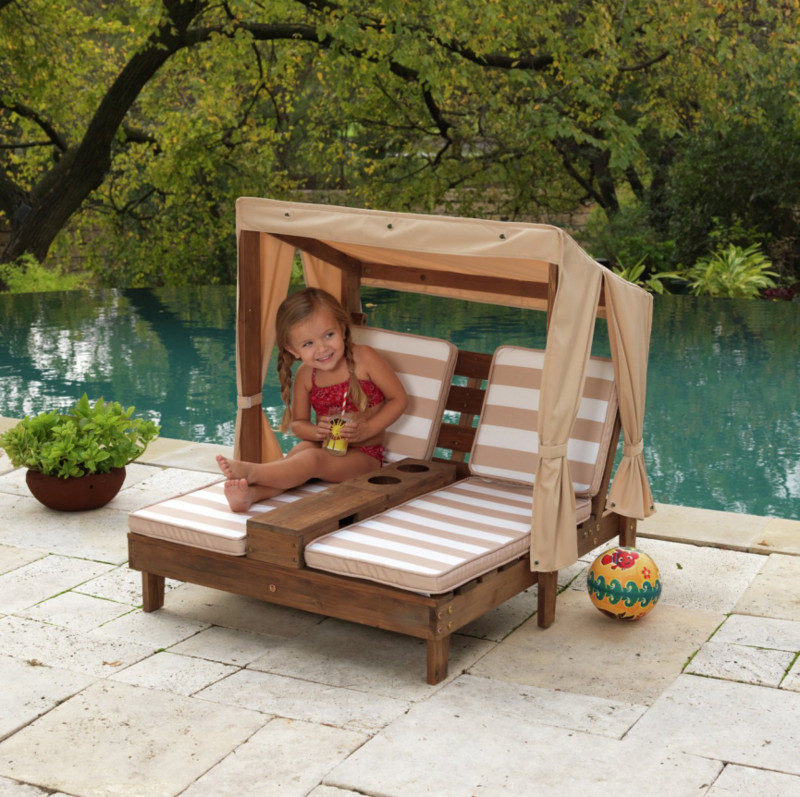 The Double Chaise includes two loungers with padded cushions, a three sided canopy for shade, and in built cup holders for when the kids need to cool down with a drink. These items are home delivery only because of their size, but FREE delivery is included. Feel free 2 order it!